Last Saturday I joined Ben Nuttall and other friends at the Raspberry Jam held at Pi Towers in Cambridge. 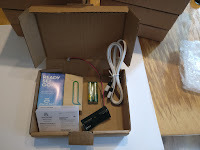 I ran a brand new workshop using a Raspberry Pi to program BBC micro:bits in MicroPython. It went really well. The young had a lot of fun, as did their mums and dads. I've turned the workshop workbook into a free eBook. You can get it here. I'll also be running the workshop again in London. Follow me here or on twitter for more information. 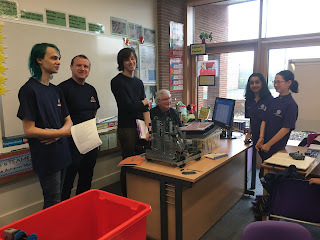 On Tuesday I headed to Highgate Junior School where they were hosting a Vex Robotics competition. I'd been invited by Andy Thompson who is Director of DTE at Highgate. Last year Highgate team System32 won the UK National Championships qualified for the World Championships in Kentucky USA in VEX Robotics, so I expected a stiff competition. I helped to judge a very remarkable set of entries created by some very capable, skilled and enthusiastic students from a number of London schools. It was encouraging to see plenty of girls participating - and winning! I used to be a little ambivalent about Vex. My own preference has been to build my own robots from scratch, or as close as I could get. Few students or teachers have the time or inclination to start robot-building from the ground up, but the competition showed how many can be really creative when provided with a well-designed kit of component parts. The energy and excitement were palpable. The day was fun for me, and clearly great fun for the students. I wish I could have joined them again for the second day of the competition. On Tuesday I head over to the Science Museum to help out with #smHack. Teams from all over the UK will be looking at ways to add value to the Science Museum's open API. I'll be taking along some physical computing hardware to act as a catalyst. As part of my research into the new architecture for C2Pi, I'll also be working on some more micro:bit hardware and software. I'll be prototyping a numeric keypad for the BBC micro:bit. 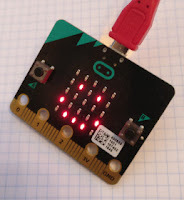 Andy of workshopshed fame came up with the winning title for Saturday's micro:bit introductory workshop: 'Microbit MicroPython in 60 minutes'. Thanks to everyone who entered. You had some great ideas, but I'm going with Andy's entry. His title is short and to the point. It tells you exactly what to expect. Andy's Kitronik inventor's kit is on its way to him, and he is kindly sending me a really useful bit of hardware in return. It's a BitScope blade duo Pi. 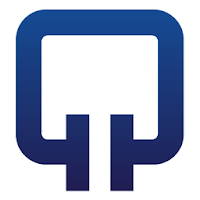 Since Dyalog APL can seamlessly use multiple cores on multiple CPUs that gives me an 8-core 2Gb super-Pi for my Neural Network research! I didn't expect to get anthing in return for the inventor's kit, but that sort of response is what makes it so great to be part of the maker community. Thanks, Andy. If you want to get started with MicroPython on the micro:bit, and you're in the Cambridge area, why not come along on Saturday? You can book here. Yesterday I mentioned that I'm running a BBC micro:bit workshop for the Jam at Raspberry Pi Towers on February 11th. 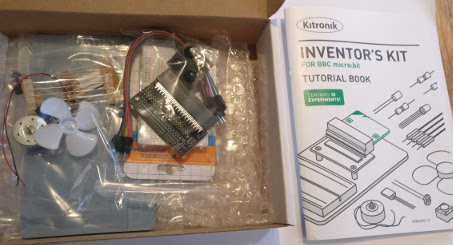 The micro:bit kits from Kitronik have just arrived, and I'm expecting to finish the workshop materials early next week. The workshop uses MicroPython and the mu IDE running on a Raspberry Pi. It's suitable for beginners, and I think it will be a lot of fun. There's a bit more background in yesterday's post. I sill need a title, though. If you have a good idea for a title you can submit it here. 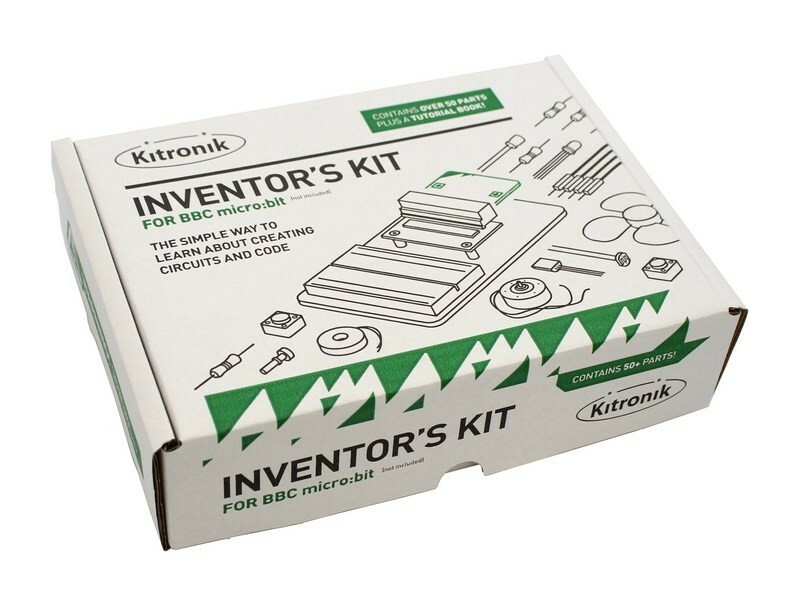 If I use your title and you are the first to suggest it, I'll send you a free Kitronik Inventors kit, including a BBC micro:bit. Make sure you submit your idea by 10 PM UK today as I'll be closing the survey then! 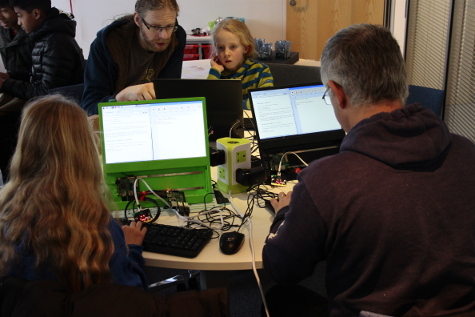 I'm running a workshop on Saturday 11 Feb at Raspberry Pi Towers in Cambridge. I'm really looking forward to it and it should be great fun. I've got just one problem: I need a good title. Let me tell you a bit more about the workshop and explain how you can help. In 60 minutes beginners will learn how to program the BBC micro:bit using MicroPython. They will be using Raspberry Pi computers linked to micro:bits and will use the mu application on the Pi to write and upload their programs. I'm not sure of the age range. There may be young programmers with their parents, some grand-parents, silver solderers like me, and every age in between. We'll be providing the hardware but they will have to give it back at the end of the workshop. Please help me find a title! I 've set up an online survey. It asks for your idea for a title and your email address. (That cuts down on spam and ensures one entry per person.) You can also subscribe to my newsletter if you want to, but there's no obligation to do so. Although you can only submit one title you can change your entry at any time. If I decide to use your title and you're the first person to submit it, I'll send you a free microbit Inventor's Kit from Kitronik. That's the other reason I'm asking for your email address! I need to decide the title over the weekend, so please submit your entry today if you can. I'll be taking down the survey tomorrow. You can submit your title here.